Bianco Romano granite is a lovely addition to any kitchen or bathroom. Featuring a delicate white background color flecked with black spots and creamy golden accents, Bianco Romano looks great in kitchens, bathrooms, and any other countertop areas you may have around your home. 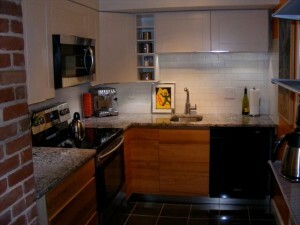 This particular type of granite also makes for a fabulous backsplash to complete the clean, smooth look. It is quarried in the country of Brazil, one of the world’s top producers of granites of all varieties. 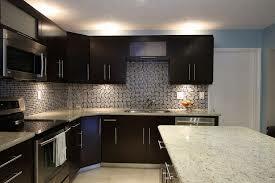 At around $35 per square foot, it is not the most expensive granite nor is it the most affordable. Unless you plan on performing the installation yourself, you are going to want to add $25-50 per square foot for installation. 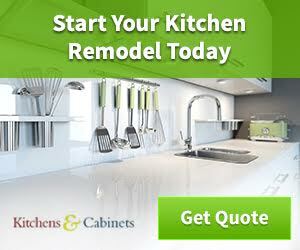 All in all a fair price for getting Bianco Romano installed in your kitchen or bath is $6o-85 per sq ft. If you decide to go with Bianco Romano granite, the good news is that it features colors that work well with many different cabinet colors and styles. It is frequently paired with white, cream, and stained wood cabinetry, although it is perhaps most striking when used with black cabinets that bring out the black spots that it features. Because of its grayish hue when viewed at a distance, gray cabinets also blend nicely with Bianco Romano. Of the stained cabinet colors, this variety of granite works best with darker stains, such as mahogany and cherry, because of the contrast that this pairing creates. Wall colors should be kept light; creams and pale grays are the most aesthetically pleasing. The type and color of flooring you choose depend largely on the cabinet color choice. In general, the lighter woods and paler tiles go best. An oak floor looks great with black or stained cabinets; if you opt for white or cream colored cabinets, go with a complementary tiled floor in either cream, white, or pale gray. Remember that the goal is not to detract from the beauty of the Bianco Romano, so don’t choose any busy patterns or competing colors.